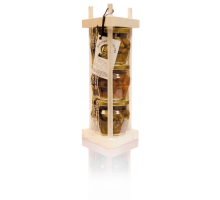 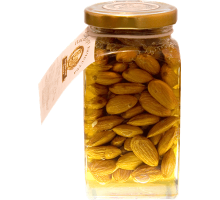 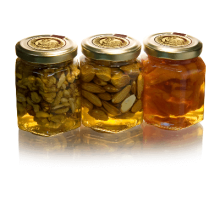 Flower honey with assorted nuts, 360 gr. 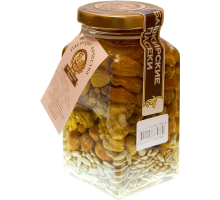 Flower honey with assorted nuts, 420 gr. 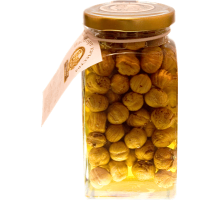 Flower honey with hazelnut, 210 gr. 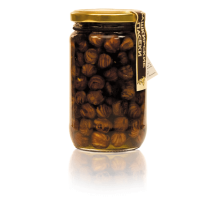 Flower honey with hazelnut, 420 gr. 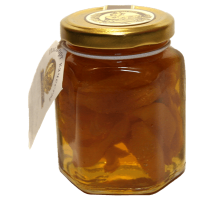 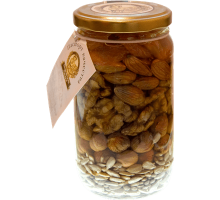 Flower honey with pumpkin seeds, 220 gr. 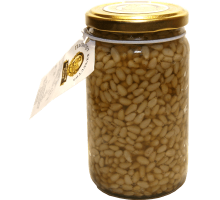 Flower honey with pumpkin seeds, 440 gr. 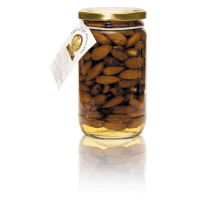 Flower honey with sunflower seeds, 220 gr. 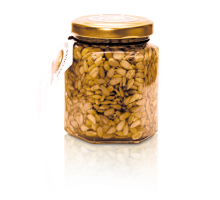 Flower honey with sunflower seeds, 440 gr. 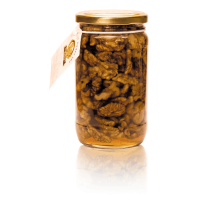 Flower honey with walnut, 220 gr. 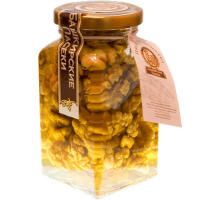 Flower honey with walnut, 440 gr.